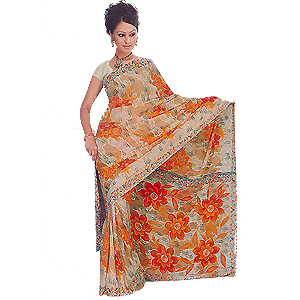 The Saree has creative floral design all over. Set to impress all this Silk Saree is for all the memorable occasions. Win her heart with the Striking Braso Saree as a gift to Indore. She is worth it! P.S.- The colour of the Sarees shown in the picture are indicative. The Final arrangement may vary according to availability. We also service to send Gifts to Indore to your loved ones, safely and securely.